George Papamanuel, left, and his son Alex pose for a picture. STANLEY, N.C.—Polyurethanes systems house Era Polymers Pty. Ltd. plans to open a manufacturing facility in North Carolina to serve the U.S. market. The Australian-headquartered company already manufactures polyurethane systems in Australia, New Zealand and South Africa. The new facility will support its growing U.S. sales. It will also make products for the Canadian, South American and European markets. It is taking over the nearly 140,000-sq.-ft. facility in Stanley, N.C., that formerly was occupied by Dutch-owned Royal DSM NV. Era plans to invest $9.2 million in the facility, the total fo which includes the purchase of the building and machinery. 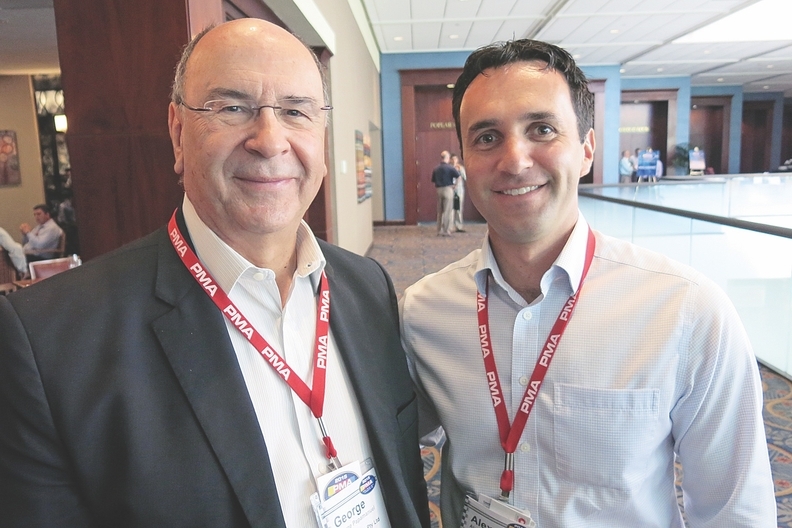 "Era Polymers has been conducting business within the U.S. for more than 15 years," George Papamanuel, Era co-founder and president, said. "It became a logical step for us to establish our own presence in the U.S. with an advanced manufacturing facility, to better supply and technically service our growing customer base." Three years ago, Papamanuel told Rubber & Plastics News that Era Polymers was "actively looking" to acquire businesses in the United States and Europe "Or, alternatively, if we can't find suitable businesses to purchase, we will build a green-field site," he said at the time.